San Vigilio di Marebbe (also known as St.Vigil in Enneberg) is an Italian ski resort that offers great skiing experience, particularly, for intermediate and beginner skiers. There are several towns and villages at the base of the Kronplatz mountain, though it’s San Vigilio di Marebbe that generally tends to be the focus-point and base for most of the visitors searching for a nice skiing holiday destination for entire family. Worth attention is also the lively nightlife for a village of this size, with a good range of restaurants, an indoor pool and a sports hall. Alps2Alps offers ski transfers to and from San Vigilio di Marebbe, so you can easily access and experience the beauty of the village. Located in the heart of Italian Dolomites in a quiet area with breathtaking and spectacular views, it is quite easy to reach the resort as there are two airports within just two hours drive, so even short ski holidays to San Vigilio di Marebbe are perfectly manageable. San Vigilio is part of the tourist destination of Kronplatz and also part of UNESCO natural park of Fanes Sennes and Braies. Besides skiing and snowboarding enthusiasts, San Vigilio di Marebbe hosts international exhibition of ice sculptures. You can take direct train to Brunico from Bressanone or from Fortezza train stations. If you prefer travelling by bus, simply walk to the bus station opposite of the Bressanone train station and catch a bus to Brunico. From Brunico take the connecting bus to San Vigilio di Marebbe. San Vigilio di Marebbe is an amazing ski holiday destination and Alps2Alps will more than happy to offer the best possible deal for your entire family. We calculate the costs of each trip in accordance with the exact requirements of our customers, along with other key factors of importance providing you with the best possible deal for your San Vigilio di Marebbe transfers in both directions, throughout the entire ski season. Your transfer quote will also depend on vehicle availability, transfer schedule, vehicle utilization and other costs like road tolls and airport parking charges, but be aware that midweek (Monday to Friday) might be the best travelling time for you, as we are offering prices with up to 60% discount than weekend prices. Families are more than welcome at San Vigilio di Marebbe, as there is a ski and snowboard school, whose main office is located at the village entrance and with 49 professionals ready to help you not only to have a chance to improve your skills and style in skiing or snowboarding, but also your kids will be able to learn the basics in a friendly and joyful atmosphere. Being surrounded by the impressive Italian Dolomites, San Vigilio di Marebbe is an ideal choice for your ski holidays which will be accompanied by beautiful winter landscapes. We at Alps2Alps will be more than honoured to serve you an excellent service, which can be a great start for even greater holidays! We’re proud to offer the most reliable, affordable and enjoyable San Vigilio di Marebbe resort transfers, all throughout the season. Take note that we offer midweek (Monday to Friday) prices with up to 60% discount than weekend prices! 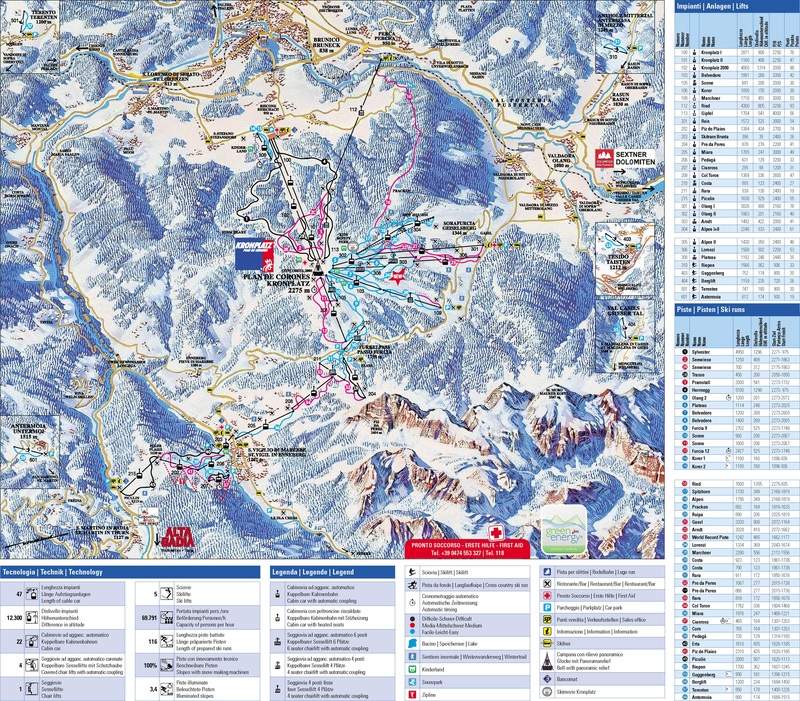 Booking in advance is vital for you to guarantee the best possible deal on your ski resort transfers to and from San Vigilio di Marebbe, Or if you can’t find the service or destination you’re looking for on our website, get in touch with the Alps2Alps customer service team today.